When making your college dorm checklist, there's a lot of dorm items to think about and you may become overwhelmed and forget about some dorm essentials. It isn't going to be physically large dorm items like your dorm bedding that you forget about, but they can be just as important. Sometimes the little dorm essentials are what put together your dorm room decor for a complete look. Of course, you also want something functional that doesn't just add to your dorm room decor. A dorm necessity that you should not go off to college without are dorm shelf liners like our Fabric Top Shelf Liner in Virtu Mist! 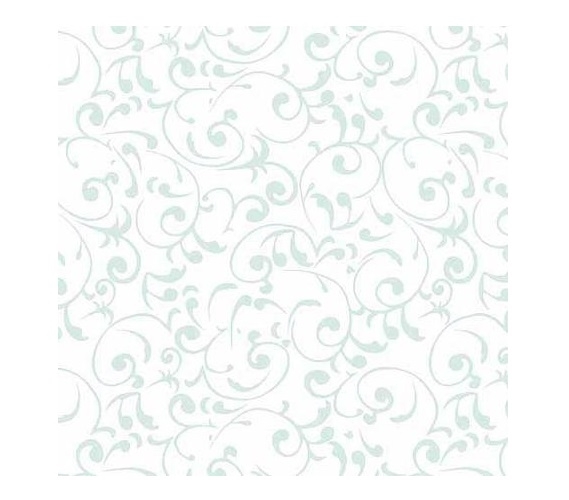 Our Fabric Top Shelf Liner in Virtu Mist is a luxuriously soft dorm shelf liner that has a very light green vine pattern on a white backdrop. 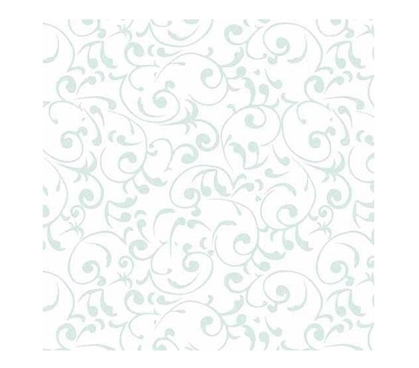 The light design of our Virtu Mist College Shelf Liner adds a subtle, classic look to your dorm room decor. In fact it is such a delicate pattern it would be hard to find any dorm essentials that didn't look great with it! College Shelf Liners are a dorm necessity. Think about it- many college students have lived in that dorm room before you and have used those same dorm items you are using. College shelf liners are essential for lining your dorm dresser drawers to protect your clothing but they are also essential for other areas you may not have thought about putting college shelf liners on. Our Fabric Top Shelf Liner in Virtu Mist looks great when placed on top of your dorm desk and dorm dresser for a pop of style that isn't just confined to inside of your dorm dresser!